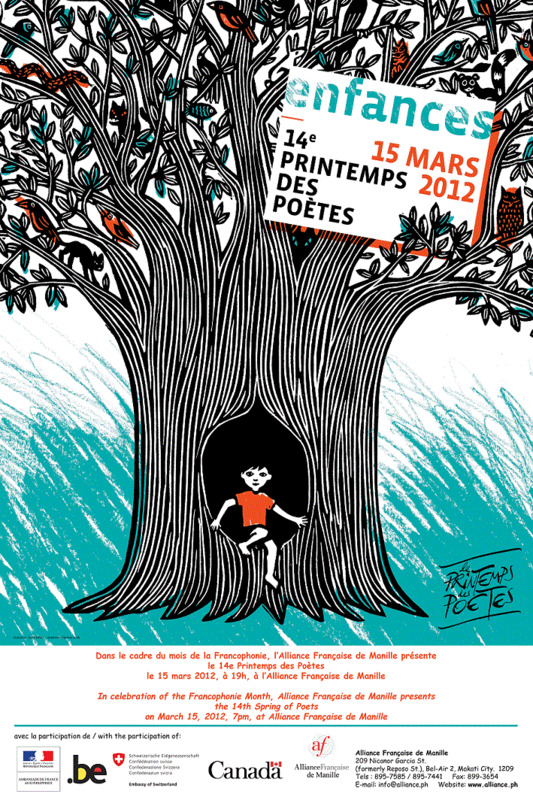 In celebration of the Francophonie Month, the Alliance Française de Manille presents the 14th Spring of Poets on March 15, 2012, 7pm at Alliance Française de Manille. An evening of Poetry at the Alliance Française de Manille on the theme of enfances, childhood and beginnings. With participation of the Embassy of France, the Embassy of Belgium and the Embassy of Switzerland. For further info: printempsdespoetes@alliance.ph.